Hi folks, Doc here. Girders & Gears reader Tom Rolfsmeyer sent in the photos below of the 1946 No. 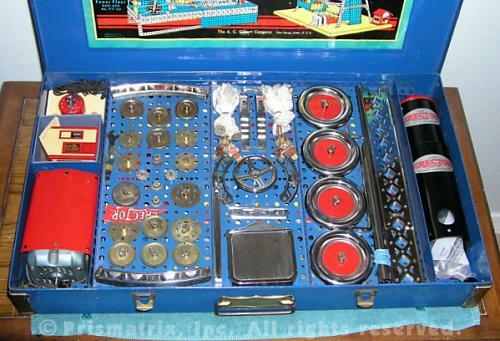 9½ Automotive set that he restored. The No. 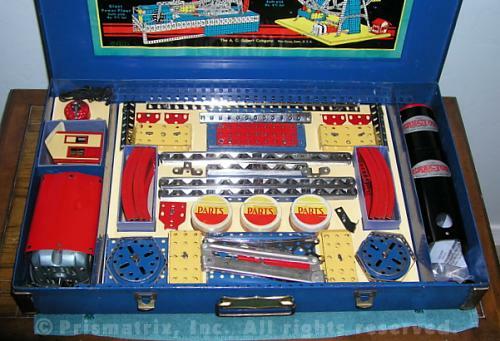 9½ was the largest set that Gilbert offered in 1946, and was the last Erector set to come in a blue box. It featured a typical complement of parts, lid label, and layout, although the cardboard inserts were an unusual color: pale yellow. The box measured 22" x 13" x 3". 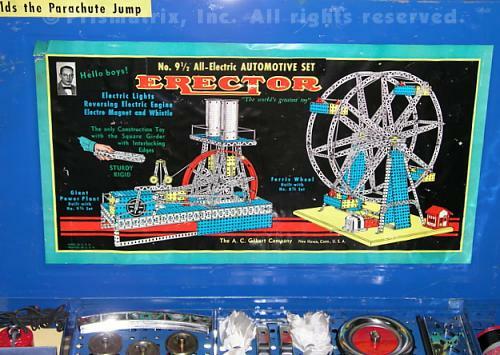 The set was essentially identical to the 1942 version, the last year that Gilbert produced traditional Erector set before 1946. Nice job, Tom, and thanks for the photos.